Hola amigos! 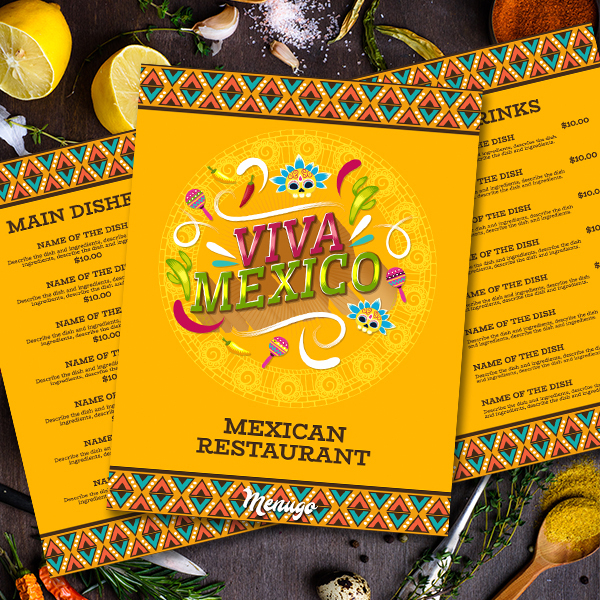 This menu is perfect for your Mexican themed restaurant! Put on a sombrero and experience the vibrant Mexican flavours!